We are only 9 days into Black History month, but the turn up has been amazing. Yesterday legendary director/choreographer Debbie ALlen shared a video of little Black girls getting a lesson in African dance, IN THE WHITE HOUSE! There was drumming, hips swaying and every call of Blackness happening in the house that stolen Africans built. 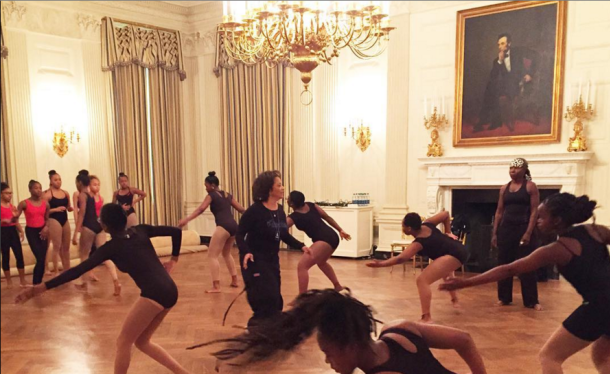 There were many other dance greats present at the White House during the dance class. Queen Alvin Ailey, Ms. Judith Jamison, dance choreographer Fatima Robinson and Virginia Johnson from Dance Theater of Harlem, and of course FLOTUS, Michelle Obama was home too. What have you been doing to honor Black History Month this year? Let us know in the comment section below!